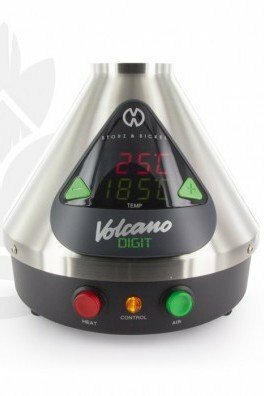 The Volcano Classic by the German company Storz & Bickel is a vaporizer that truly set milestones when it was released. 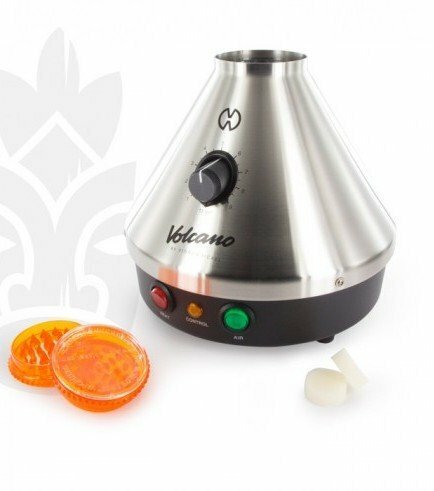 What sets the Volcano apart from others is its superior quality, outstanding durability and top performance. This precision-engineered master piece of a vaporizer comes with a 3 year warranty. Available with 'Easy Valve' or 'Solid Valve'. By buying this product you can collect up to 33 loyalty points. Checkout your current loyalty points score and all available gifts via the Loyalty Bonus Page. 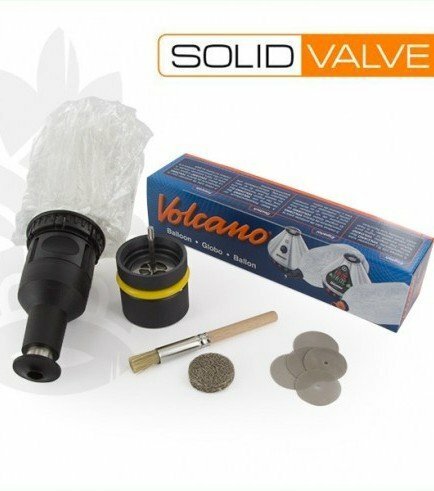 Storz & Bickel deliver the one and only, Volcano Classic vaporizer. It’s so classic, any cannabis enthusiast would want a piece of the action. In the 90’s, the first cannabis-vaporizing device came to light, Storz & Bickel evolved the idea and created this spectacular vape. It has become one of the most used “bag” vaporizers in the world. 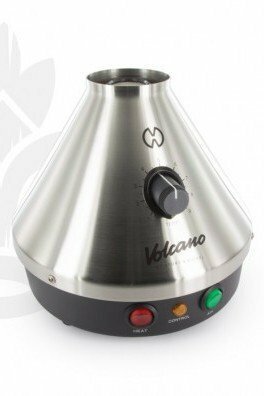 The Volcano Classic vaporizer can be found in many a ganja connoisseurs’ home and the most renown coffeeshops of Amsterdam. 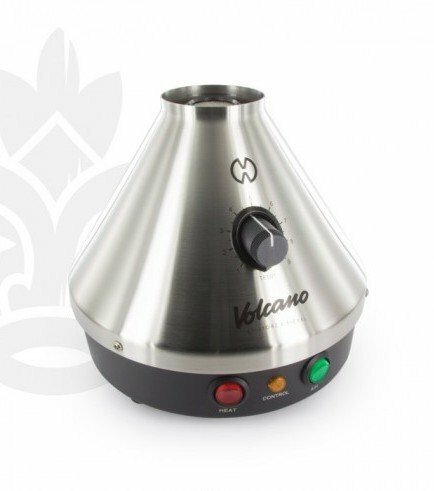 Volcano Classic is a convection vaporizer, which means that it heats up the air, which in turn vaporizes the herb to release its precious compounds. It’s one of the best systems for vaporizing because the herb is not in direct contact with the heating plate. The temperature control comprises a turning knob, which is turned to numbers from 1 to 9 and anything in between, (1 being the lowest temperature and 9 being the highest). The temperature spans between 130-230°C, perfect for vaping cannabis, which should be vaped at about 200°C. This vaporizer comes with either a solid or easy valve. Here’s how this amazing vaporizer works. Before using the device, plug it into a wall socket and activate the red button, which switches on the orange light. Once the orange light turns off, the vape is ready for use. The herb must be ground - not too fine, a regular grind will do. The heating chamber is filled with the herb, closed, and secured on the Volcano Classic's heating plate. The bag is attached to it, and once everything's in place, turn on the green button and watch the vapor fill the bag. Once the bag is filled, the bag piece is detached from the heating chamber, and a mouthpiece is attached to allow vapor consumption. Instantaneously, after hitting that bag, the delightful high follows, delivering an abundance of Zen. Important: Don’t leave the heating chamber on the heating platform. Smoking weed in joint format has always existed. Now, vaporizers emerged, changing the face of weed consumption. Check out the differences at Zativo. See that brown leftover bud in your vaping device? Don't throw it away, it is totally usable and still holds some cannabinoids. So long as you vape your bud at the correct temperature, you'll never need to throw that stuff away again. In fact it is now ready to be used within many different medicated dishes.